The Notebook is an accessory.. The traditional classic notebook has come back in popularity in the last few years, despite the fact that technology is progressing at a very fast rate. 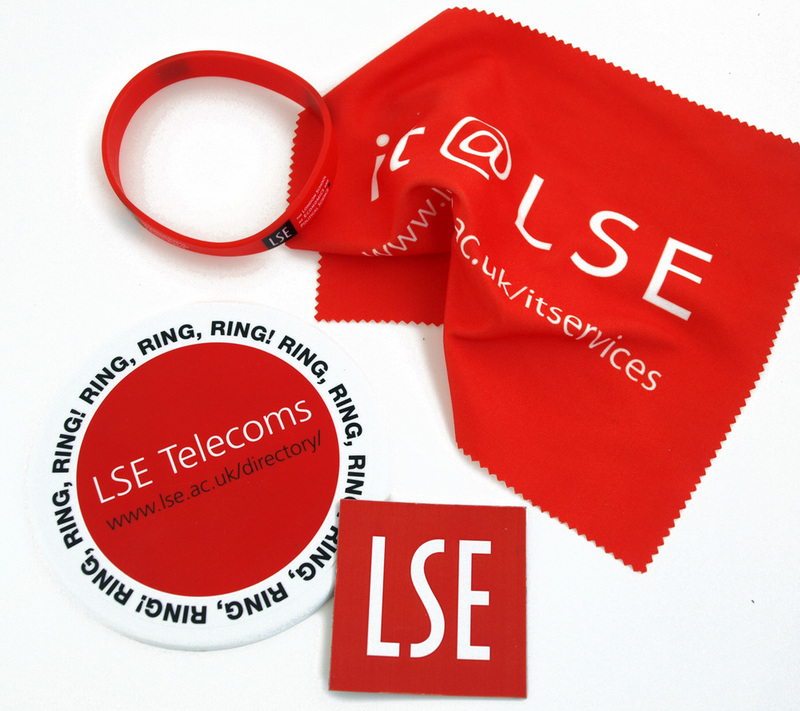 Thanks to ID Promotional Services, now we can give away lens / microfibre cloths with our logo, artwork and contact details. This combination of styling, great print area, choice of colours and pricing is now available in a new eco friendly version made from recycled pellets. Cotton Shopper with your advertising message - special offer! We have a great price on our high quality natural cotton shoppers. These are 5 oz natural cotton (which is a thick quality ) and are long handled. A plain simple lanyard does the job very well, but we would suggest also looking at the new 3D logo lanyard and also the lanyard with glitter. Oyster wallets protected with an extra seal? The outer wallet is covered with a layer of transparent pvc, the same pvc that makes up the transparent pockets on the inside. Premium feel! Putting a wallet in a polybag with a bar code is not just for retail, but is also a nice way to give away a corporate or event driven promotional item. A need for more protein shakers? vParticularly among young women, protein shakes are now the big thing. So if you have a target audience of young ladies, consider our range of protein shakers! We are seeing more gadgets that monitor health. We will soon be able to tell each other exactly how much sleeping, eating, running we do. We have a new item which is essentially a small remote control for the smartphone's camera. 3 meter range and you can switch between front and rear views. Carrying a hand sanitizer is a jolly good idea! This credit card shaped one slips easily into a bag, pocket or briefcase, with around 100 sprays and can be screen printed or full colour process printed. A nice, shiny finish, easy to slip into a pocket or bag and a lovely big print area for your logo and message. They also have two usb ports. By giving away a promotional reuseable bag, not only are you promoting yourself but you can also be sure you are on board with the eco- friendly message. 3D embroidery really makes a difference to the product - a plain hat suddenly looks like an expensive, well thought out promotional item. New - mini oyster wallets, a perfect fit! New mini oyster wallets are fantastic addition to the range of wallets we can supply. A fresh new idea for your oyster wallet promotional marketing campaign. Reusable brandable bottles answer to bottle plague! For the promotional industry reusable water bottles are a great giveaway. Make sure your logo is on your bio-degradable water bottles. See our range! We can supply promotional stick on pockets for iPhone and other smart-phones. It's been in and out of my handbag the last month and remains securely in place. Ferrari's lovely horse logo is recognised all over the world - we would call it an aspirational logo. Ferrari has an almost cult like following in some places. Nobody likes to see chewing gum litter! It is an eyesore and really difficult to clean up. Now we have a new plastic compound available in the market which is made of chewed gum waste from special collection bins. The collection bins themselves are made from this recycled compound. This compound can be used to manufacture a whole range of promotional products such as fisbees, rulers etc. Basically any item which is usually made from plastic. These products - made from recycled chewing gum - may particulary appeal to universities and local authorities as they can be printed with a message about disposing chewing gum in a responsible manner.